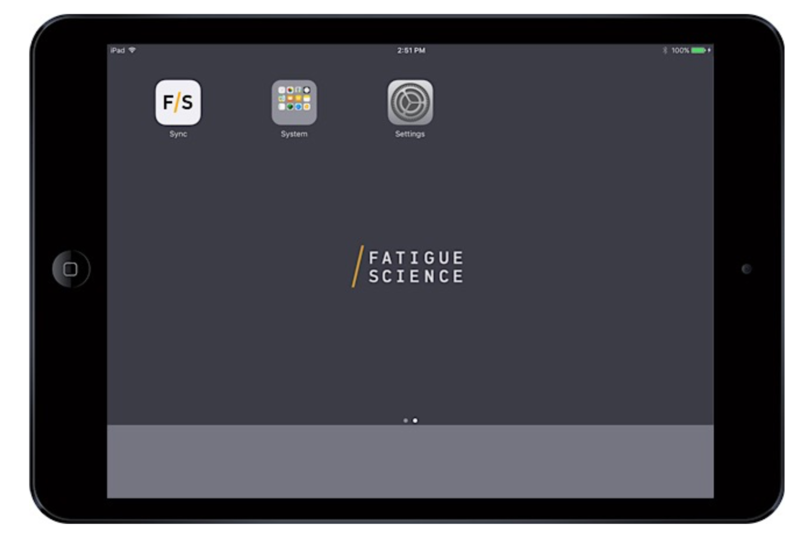 In a web browser, sign in to app.fatiguescience.com to create user accounts. 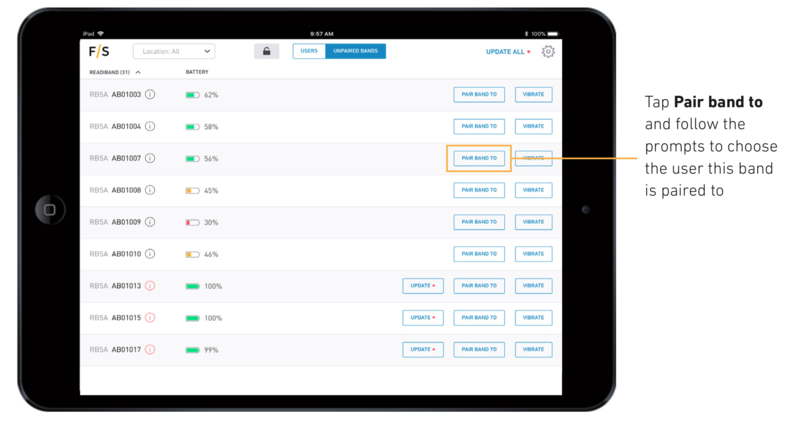 Click your name in the upper right-hand corner and select Manage Users, or Manage Company then the Location you want to add users to. 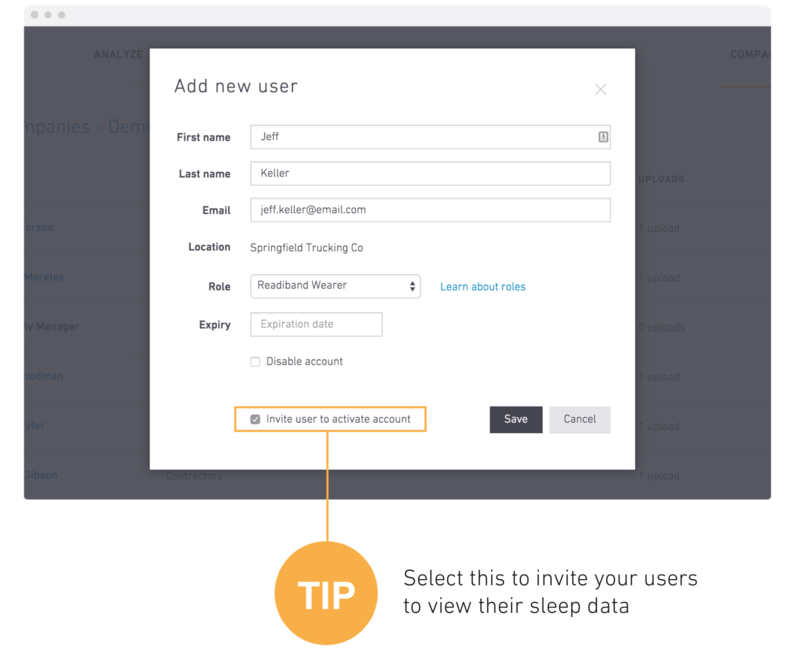 If you don't invite your users to view their sleep data now, you can always do it later. Readibands are shipped in factory sleep mode to preserve their battery.  Before you can pair them with your users, you'll need to wake them. Fully insert pods into a USB port (e.g. 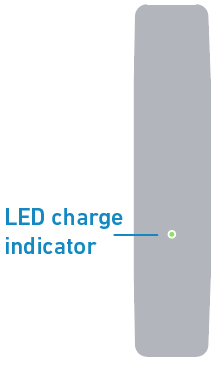 on computer or phone charger) for several seconds until the light flashes. Disable Touch ID & Passcode by going to Settings > Touch ID &	Passcode. 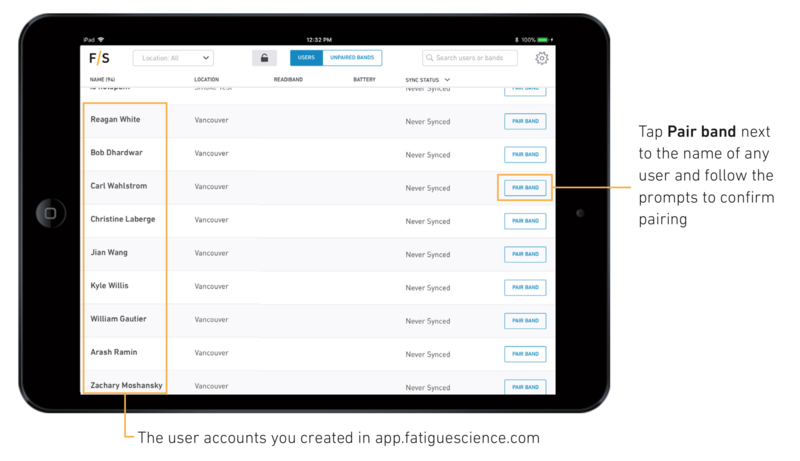 The app will list all the user accounts you've added to your company. Each Readiband needs to be paired with a specific user. Alternatively, you can use the Unpaired Bands view to find a specific Readiband by serial number and pair it with a user. The band will start recording sleep data as soon as it’s paired. It’s important that they’re distributed and worn by the intended user shortly after pairing. 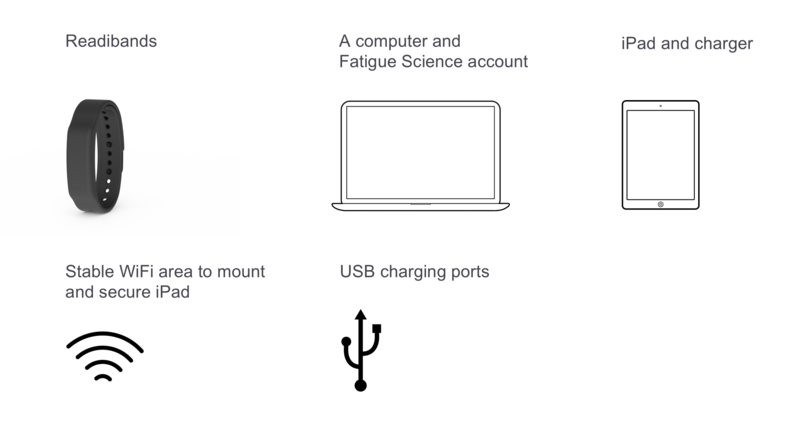 Include one of the participant inserts to orient your users around this device. Now that you've deployed your Readibands, you're ready to start capturing data.